Grace Commission Bomb Shell! IRS is collection agency for the Money Masters behind the Federal Reserve Board! 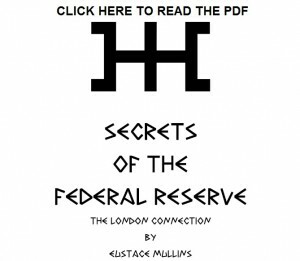 At the top of that page you will find an analysis of Money, and down the page you will find the two monumental videos by Bill Still: “The Secret of Oz” and “The Money Masters”. 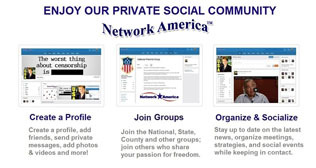 Underneath those you will find the same videos by Mike Maloney that you see on this page. How money actually works today will surprise you. This is an amazing summary of how the “Federal” Reserve works. Watch until the very end for Steve Forbes’ and Ron Paul’s interviews. This “Federal” Reserve FIAT currency printed out of thin air (mostly digits in a computer) is not backed by gold as the Constitution intended, it is basically backed by the U.S. military. This criminal system guarantees perpetual profitable wars, all based on lies and False Flag Operations. It robs every single one of us through inflation, a hidden tax on the people. 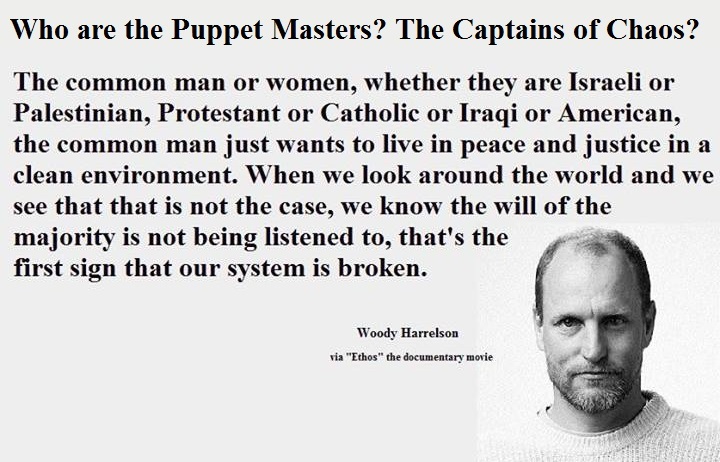 Who are the Puppet Masters? The Captains of Chaos? Do you sense something is radically wrong in our world? Ever wonder if the news is telling the whole story? There is a minority of powerful people in the world, amassing immense wealth and power through lies, fear, war, suffering and constant chaos. When you do the research and follow the money enough times, you come to the realization that virtually all roads lead back to the Zionists and their assets. So how powerful are these people? What are some of the things the Zionist, Jews and/or Dual-U.S.-Israeli citizens own or control? Nearly all major media (96%) and global means of communicating. Banking and finance are controlled at every corner and the Rothschild Zionist’s Crowning Jewel? 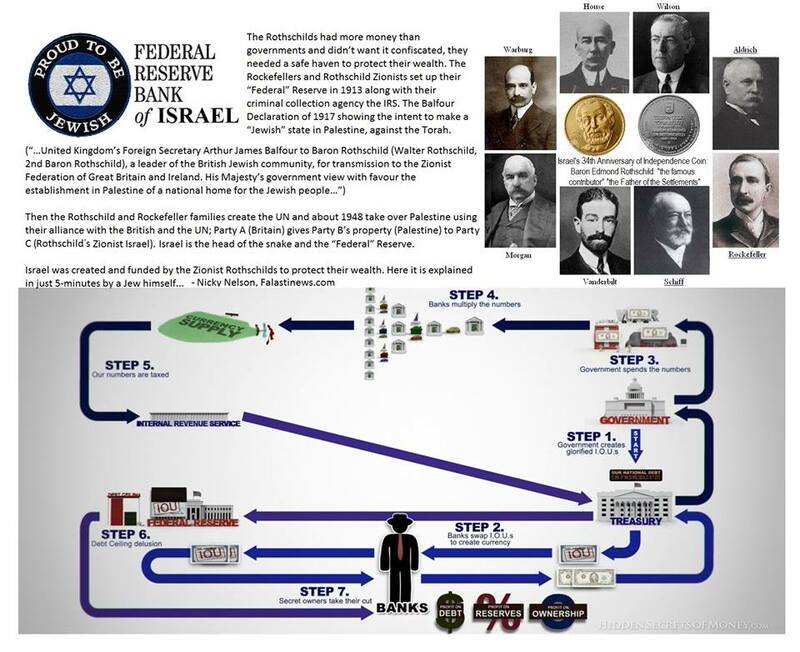 The Not-So-Federal “Federal” Reserve that has been destroying America and the world around us since 1913 along with its Criminal Collection Agency the IRS that same year, and the ADL (Anti-defamation League) also created in 1913 to protect the Jewish Banksters who had just hijacked America. 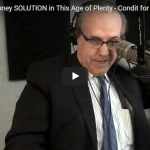 When You Can Print the Money Without Being Audited — You Can Buy a Lot of Stuff! 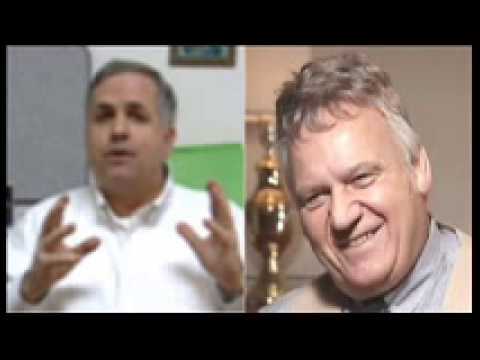 THE ZIONIST MEDIA SPIN DOCTORS! Let’s take a look at the Rap Sheet and name names! CBS – William Paley, Leslie Moonves, Sumner Redstone (born Sumner Murray Rothstein), Nina Tassler, Nancy Tellum. All Gun Control (Confiscation) Efforts are Funded and Given Publicity by Powerful Talmudic Jews Who want to disarm the Non-Jewish Population to Subjugate them and Kill Tens of Millions – Like They Did in Russia after 1917, and China after 1946. In “Israel”, Jewish citizens are Armed from Head to Toe – but the same Top Talmudic Jewish Leaders Who INSIST Jews in Israel be armed — Want to Disarm American Citizens! WELL AS LONG AS THEY DON’T GET THE GUNS, RIGHT? 1968: The Gun Control Act of 1968 comes from Jewish Congressman Emanuel Celler’s House bill H.R.17735. It expands legislation already attempted by the non-JEWISH Senator Thomas Dodd. America’s biggest and most far-reaching gun law came from a Jew. 1988: JEWISH Senator Howard Metzenbaum sponsors Senate bill S.1523. It proposes legislation turning every violation of the Gun Control Act of 1968 into a RICO predicate offense, allowing a gun owner to be charged with federal racketeering offenses. 1993: JEWISH Senator Howard Metzenbaum sponsors Senate bill S.653. It bans specific semiautomatic rifles, but also gives the Secretary of the Treasury the power to add any semiautomatic firearm to the list at a later date. February, 1994: The Brady Law, which requires waiting periods to buy handguns, becomes effective. JEWISH Senator Howard Metzenbaum wrote the Brady Bill. JEWISH Senator Metzenbaum sponsored the bill in the Senate. The sponsor of the bill in the House was JEWISH Congressman Charles Schumer. 1994: JEWISH Senator Howard Metzenbaum introduces S.1878, the Gun Violence Prevention Act of 1994, aka “Brady II.” JEWISH Congressman Charles Schumer sponsored “Brady II” sister legislation [H.R. 1321] in the U.S. House of Representatives. September, 1994: The Violent Crime Control and Law Enforcement Act of 1994 goes into effect, including a provision that bans the manufacture and possession of semiautomatic rifles described as “assault weapons.” [Note: true assault weapons are fully automatic, not semiautomatic]. That gun-ban provision was authored in the Senate by JEWISH Senator Dianne Feinstein and authored in the House by JEWISH Congressman Charles Schumer. 1995: JEWISH Senators Kohl, JEWISH Specter, JEWISH Feinstein, JEWISH Lautenberg and others introduce the Gun-Free School Zones Act of 1995, an amended version of the 1990 school-zone law which was struck down in court as being unconstitutional. September, 1996: The JEW Lautenberg Domestic Confiscation provision becomes law. 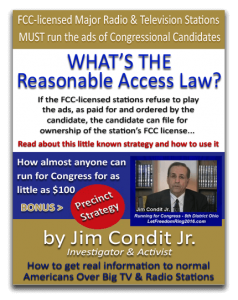 It is part of a larger omnibus appropriations bill. It was sponsored by Senator the Jew, Frank Lautenberg. It bans people convicted of misdemeanor domestic violence from ever owning a gun. 1997: Senate bill S.54, the Federal Gang Violence Act of 1997, proposes much harsher sentences for people violating minor gun laws, including mandatory prison sentences and forfeiture of property. It was introduced by JEWISH Senator Dianne Feinstein and JEWISH Senator Hatch, among others. It returns the idea of turning every violation of the Gun Control Act of 1968 into a RICO predicate offense. January, 1999: JEWISH Senator Herbert Kohl introduces bill S.149, the Child Safety Lock Act of 1999. It would require a child safety lock in connection with transfer of a handgun. February,1999: JEWISH Senator Frank Lautenberg introduces bill S.407, the Stop Gun Trafficking Act of 1999. February, 1999: JEWISH Senator Frank Lautenberg introduces S.443, the Gun Show Accountability Act of 1999. March, 1999: JEWISH Senator Frank Lautenberg introduces bill S.560, the Gun Industry Accountability Act of 1999. March, 1999: JEWISH Senator Dianne Feinstein introduces bill S.594, the Large Capacity Ammunition Magazine Import Ban Act of 1999. May, 2000: JEWISH Senators Feinstein, Boxer, Lautenberg, and Schumer sponsor Senate bill S.2515, the Firearm Licensing and Record of Sale Act of 2000. It is a plan for a national firearms licensing system. January, 2001: JEWISH Senators Feinstein, Schumer, and Boxer sponsor Senate bill S.25, the Firearm Licensing and Record of Sale Act of 2001. It is a nation-wide gun registration plan [apparently there were two versions of that Firearm Licensing and Record of Sale Act bill]. May, 2003: JEWISH Senators Feinstein, Schumer, Boxer, and others introduce legislation that would reauthorize the 1994 federal assault weapons ban, and, close a loophole in the law that allows large-capacity ammunition magazines to be imported into the U.S. The ban expired in September, 2004. October, 2003: JEWISH Senators Feinstein, Lautenberg, Levin, and Schumer co-sponsor bill S.1774, designed to stop the sunset [ending] of the Undetectable Firearms Act of 1988. March, 2005: JEWISH Senator Frank Lautenberg introduces bill S.645, “to reinstate the Public Safety and Recreational Firearms Use Protection Act,” in other words, to reinstate the 1994 assault-rifle ban [also known as the “Violent Crime Control and Law Enforcement Act of 1994”] which expired in late 2004. March, 2005: JEWISH Senator Dianne Feinstein introduces bill S.620, “to reinstate the Public Safety and Recreational Firearms Use Protection Act,” in other words, to reinstate the 1994 assault-rifle ban [also known as the “Violent Crime Control and Law Enforcement Act of 1994”] which expired in late 2004. July, 2005: JEWISH Senator Dianne Feinstein introduces bill S.A.1621 – Fifty-Caliber Sniper Weapons. This amendment would convert all .50 BMG firearms to NFA weapons. July, 2005: Senator JEWISH Dianne Feinstein introduces bill S.A.1622 – Fifty-Caliber Exclusion to S.397. This amendment would modify S.397 to allow suits when the firearm involved was a .50 caliber weapon. July, 2005: JEWISH Senator Barbara Boxer introduces bill S.A.1633 – BATFE Safety Standards. This amendment allows law suits to continue/be brought if the product did not meet the safety standards as defined by the BATFE. And this list needs to be updated to 2015, where the Top Talmudic Jews are now staging false flags like Columbine, Sandy Hook, and the November 2015 “ISIS” attack on Paris — to manipulate the people of the USA, Europe and Australia to accept “gun control” – read “gun confiscation.” How to understand “ISIS” — It’s Still Israel, Stupid. When You Can Print Money Without Being Audited (like the Federal Reserve Board), and Loan Trillions to Your Comrades – You can Accomplish Alot! IS THIS PROOF ISRAEL WAS INVOLVED IN 911? Israeli 911 terrorism ties!! FOX news report now CLASSIFIED! A Good Explanation – AND a Good Chart to Study!